‘A Cloister in the World’ by Abbot Patrick Barry OSB: a book on the history and spirituality of the Manquehue Movement published in 2005 by St Louis Abbey Press. ‘Manquehue and the EBC’ by José Manuel Eguiguren: an article about the relationship between Manquehue and the English Benedictine Congregation published in the 2014 Benedictine Yearbook. ‘Creating a New Benedictine School’ by José Manuel Eguiguren: conference given at the International Meeting of Benedictine Educators held in 1999 at Worth Abbey and School, England. 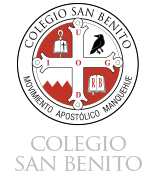 ‘Christian Formation in Benedictine Schools, the Experience of Manquehue’ by Cristóbal Valdés: conference given at the 2007 International Meeting of Benedictine Educators held that year in Santiago, Chile. 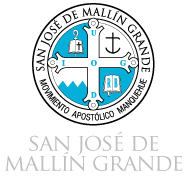 Decree of General Chapter of the English Benedictine Congregation (EBC) establishing a spiritual communion and juridical consociation between the EBC and the Manquehue Apostolic Movement.